As described in the last post, Rumié's current exhibit on the second floor of AMA, Common Place (Lugar Común), was created together with artist Justine Graham - both of whom are based in Santiago, Chile. The exhibition portrays the evolving subordinate relationship between Latin American housekeepers and their housewife employers, reflecting issues of gender, power, class and race. 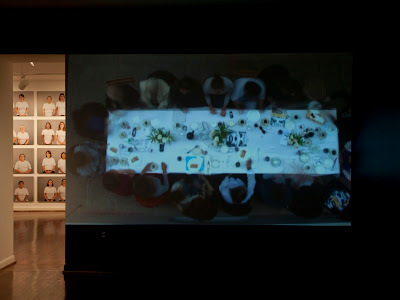 Comprised of photographs, videos, and surveys of 100 women between the ages of 19 and 95, this project merges art and sociology, and explores new sensorial and emotional experiences in an attempt to discover affinities and differences among participants, separating itself from the bias and stereotypes present in hierarchical relationships. Common Place challenges conventional methods of portraiture and proposes new social constructs. Adriana Ospina, AMA's education coordinator, says of the relationship between housekeepers and their employers in Latin America: "It can very well be a love-hate relationship, the housekeeper can know everything about the housewife, but she needs to respect their boundaries. The exhibit examines the domestic and social dynamic behind the relationship and it opens up a can of worms." Ruby Rumié was born in Cartagena de Indias, Colombia. Since 2005, she has lived and worked between Cartagena de Indias, and Santiago, Chile. She studied painting, drawing, and sculpture at The School of Fine Arts in Cartagena, David Mansur Academy in Bogota, and has participated in numerous workshops with artists such as: Maria Teresa Hincapié, Eugenio Dittborn, Fabian Rendón, and Jean Pierre Accoult. From 1989 to 1996, she worked using a hyper-realistic painting technique to portray portraits of the native people of Cartagena de Indias. After breaking away from the Academy, she started to work with a clear focus on social and territorial heritage, during which she questioned the commitment of the artist to society. Her most recent exhibitions include, “Wholesale and Detail”, which addresses the issue of intangible memory through El Cardonal Market in Valparaiso (2009), as a landmark of jobs threatened by the presence of modern hypermarkets. “Gestemani: subject/ object”, a multimedia project about a neighborhood being displaced by real estate development (2003- 2008), exhibited in The Museum of Fine Arts in Santiago, The Animal Gallery in Santiago, and The Affordable Art fair in New York. “The Real Things” exhibited within the framework of new curatorial projects of the Caribbean region for the Ministry of Culture, curated by Néstor Martinez Celis. Since 1995, she has made multiple posters and prints such as the book, “The Visit”, with serigraphs from 15 Colombian artists, “The Last Letter to a Kidnapped Man”, with 1000 copies for the Boehringer Ingelheim company, the Centennial Commemorative poster “The Gift”, for the Mayor of Cartagena, and finally the poster “The Short Circuit “made for the Institute of Cultural Heritage, to celebrate the festival of the independence of Cartagena de Indias. As a teacher she has carried out workshops and diploma courses with institutions such as the Banco de la República and the university Jorge Tadeo Lozano. She recently participated as a teacher in one of three cultural initiatives for social entrepreneurship in the city of Cartagena, created by The American Development Laboratory of the Technological University of Bolivar. Graham's current exhibit on the second floor of AMA, Common Place (Lugar Común), was created together with Colombian artist Ruby Rumié - both of whom are based in Santiago, Chile. The exhibition portrays the evolving subordinate relationship between Latin American housekeepers and their housewife employers, reflecting issues of gender, power, class and race. 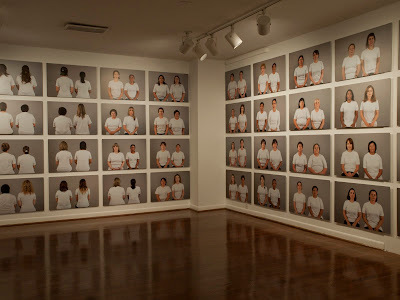 Comprised of photographs, videos, and surveys of 100 women between the ages of 19 and 95, this project merges art and sociology, and explores new sensorial and emotional experiences in an attempt to discover affinities and differences among participants, separating itself from the bias and stereotypes present in hierarchical relationships. Common Place challenges conventional methods of portraiture and proposes new social constructs. Justine Graham (Nice, France, 1976.) is a photographic artist and cultural producer based in Santiago, Chile since 2005. She holds a Masters in Urban Studies, London School of Economics in 2001, Bachelor in Culture & Politics, Georgetown University, 1999, and photography foundation studies at Parsons School of Design, Paris 1995. 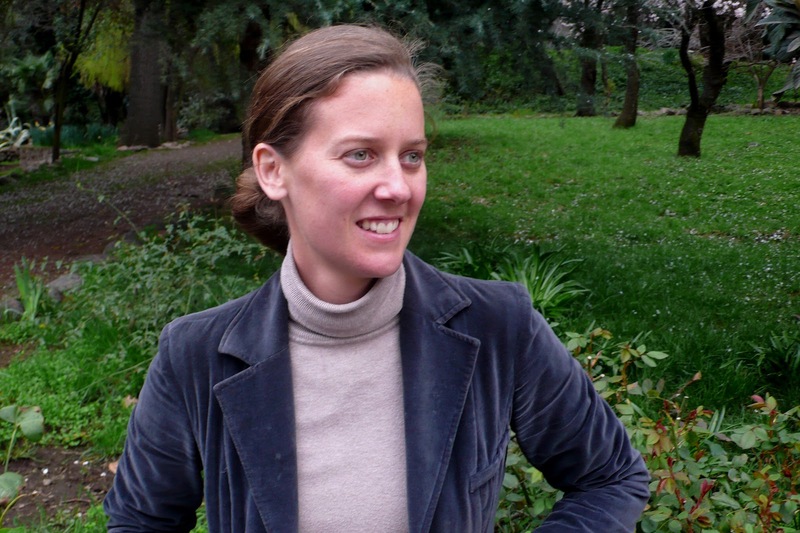 Justine Graham worked in London as Projects Director for cultural organizations linked to urbanism and architecture from 2001 to 2005. In 2005 she founded YAPO Project in Santiago, Chile, a cultural laboratory dedicated to exploring social, spatial and cultural issues of identity through multi-disciplinary projects (www.yapoproject.cl). She is Photography Professor at the Universidad Católica de Chile’s School of Design. Graham is also currently exhibiting her first solo show in one of Santiago’s premier contemporary art spaces (Sala Gasco), which can be seen here. There's also small "making-of" video of this installation ( of more that 8,600 postcards!) and can be viewed here. Recent exhibits include: Common Place (Lugar Común) (with Ruby Rumié, Art Museum of the Americas, Washington, DC 2011), An Imaginary Atlas of Santiago de Chile (Sala Gasco Arte Contemporáneo, 2011), Ripping (with Ruby Rumié, Centro de Centro de Formación de la Cooperación Española, Cartagena de Indias, Colombia, 2010), Lugar Común: 100 women (with Ruby Rumié, Museo de Artes Visuales, Santiago, 2010), Geography of Work: Photographs of Chilean Workers (Museo de Bellas Artes, 2008). She recently published her first 400-page book, Atlas Imaginario de Santiago de Chile, documenting 6 years of Santiago’s informal urban landscape. 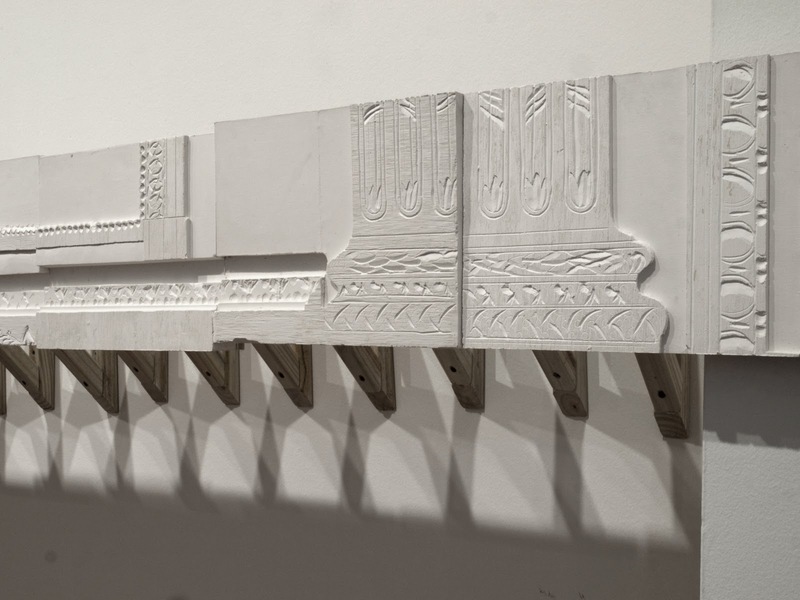 Rivas' site-specific piece, The Room Next Door, is a revision of the Salon Doré, which is the Corcoran Gallery of Art's 18th Century French period room with gilded paneling and Corinthian pilasters. Concentrating on segments of patterns and moldings of the Salon Doré, this piece relates the structure and surface of decorative motifs with speculation about the interior order of these forms inside the Corcoran. 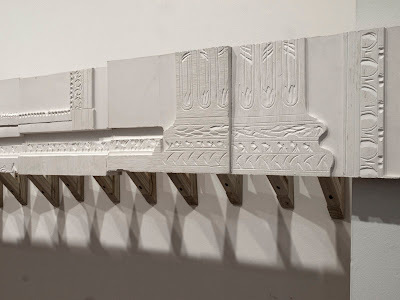 Made from plaster, wood, and everyday materials, the work generates a temporary distance from the original source and a close-up study of decorative forms from the 18th Century and other neo-classical patterns. The Room Next Door also explores ornamentation and hierarchy in architecture. Tomás Rivas (b. 1975, Santiago). Rivas holds a Master’s Degree in Fine Arts (MFA) from the University of Notre Dame, IN, United States and a Bachelor of Arts from the Pontifical Catholic University of Chile. His work has been exhibited throughout Argentina, Germany, Brazil, Chile, United States, France, England, and Israel. Among his main Exhibits we find Tectonic Shift: Arte Contemporáneo de Chile, Saatchi Gallery y Philips de Pury, Londres (2010); Contaminaciones Contemporáneas, MAC USP, São Paulo (2010); Chili, l’envers du décor , Espace Culturel Louis Vuitton, Paris; Slash, Paper under the knife, Museum of Art and Design, New York (2009); Material Ligero: Five artists from Santiago, Chile travelling light, Margaret Lawrence Gallery, VCA, Melbourne (2009); Flujo, Obras de Gerardo Pulido y Tomás Rivas, Museum of Visual Arts, Santiago (2009); Boyscraft, (Haifa Museum of Art), Haifa (2008); Abre Alas, Galería A Gentil Carioca, Rio de Janeiro (2007); Feedback, Cultural Center Matucana 100, Santiago, Chile (2007); Alegoría Barroca en el Arte Contemporáneo, Museum of Contemporary Art MAC, Santiago (2006). 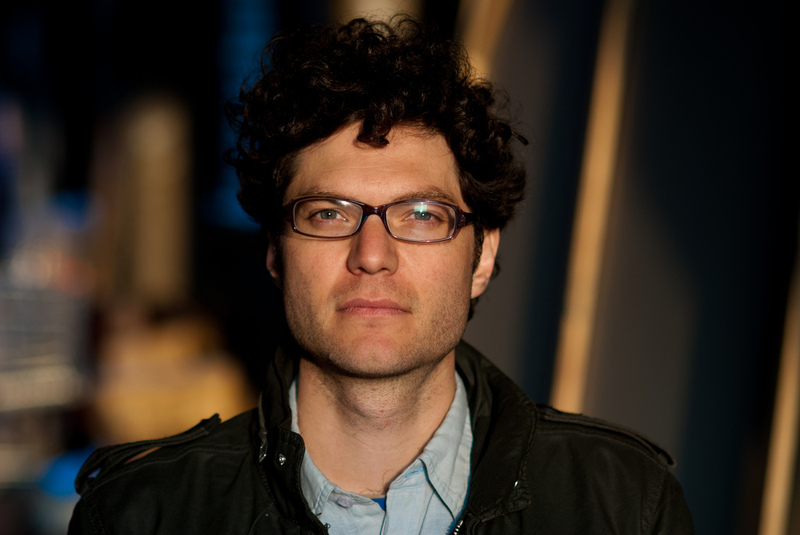 Since 2003, he has received awards and scholarships including the AMA Scholarship, (2008), the Scope Emerging Artist Grant (Emerging Artist Award) Foundation Scope New York (2006), 1984 Foundation Fellowship (Fellowship) Project for the Study of Ancient Architecture (Director: Robin F. Rhodes). Ancient Corinth, Greece, The Outstanding Student Achievement Award (International Award for graduate students in Master in Fine Arts), Graduate Teaching Assistantship Fellowship (Academic scholarship) University of Notre Dame, IN. Rivas is currently doing a residency program at LUX Art Institute, USA, and RIAA, Argentina. He also teaches at the Pontifical Catholic University of Chile.